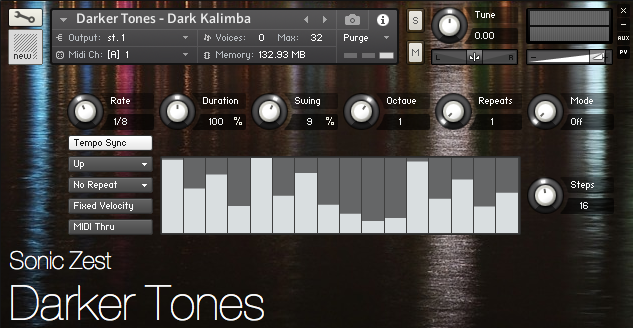 Kontakt sample pack featuring a diverse range of plucked instruments, including a Kalimba and African Bronze Tubes. Over 500 MB of samples (183 MB download). Plucked percussion is a great way of adding an interesting and organic/non-synth melody to your music. We set out to create a kit bag of plucked samples that would be perfect for melody making. 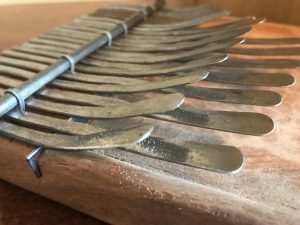 We started by gathering a collection of plucked percussive instruments, including a Zimbabwean Kalimba, a gourd Mbira (thumb piano) and a selection of bronze African percussive tubes and then deeply sampled them. Each note was recorded at least 10 times, allowing for 10x round robins. This means that each key hit will produce a slightly different tone giving an added sense of realism to your composition. Each sample was then individually polished in our audio software until it shined. These instruments are beautiful to play and no doubt will provide hours of fun and give a boost to your melody writing. We present to you… Darker Tones. A couple of pics of the tines and tubes that were captured for our Darker Tones sample library. African Tube Percussion – a unique Kontakt instrument sampling pitched African wooden tubes. We recently stumbled across this instrument in a pop-up shop. The lady was selling Ghanaian imports, amongst which we found this set of African percussive tubes.